Induction heating uses an induction coil to heat steel drums. The coil is connected to a single phase AC mains supply and generates heat direct and uniformly in the drum wall. Energy transfer is by alternating magnetic field and thus there is no heat transfer by the conventional and inefficient means of radiation or convection. Complete absence of hot elements and the encapsulation of all electrical components enables unattended use, overnight if required. 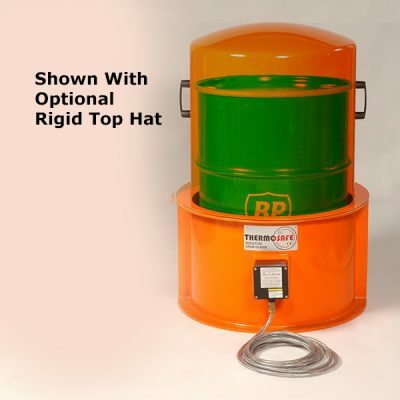 To complement the longstanding and successful 240v Thermosafe Type A, our 110v Type B model is available, ideal where height is restricted, or for heating smaller containers. Two Type B heaters can also be stacked and operated at 110v or 240v. 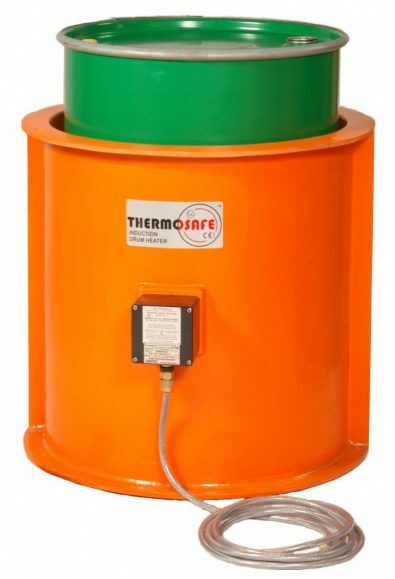 Two heaters can be stacked to heat full height of drum.